I don't know about the rest of you but I HATE music. I find it to be extremely annoying. I like LBT music though. It's pretty good. Except for the tv series music. It's pretty annoying to me as well. I just stick to lbt music. That's all I have on my ipod and 1 cover song just in case someone wants to hear what I'm listening to. I never listen to the cover song. It's some sort of rap techno mix that I find to be EXTREMELY annoying. What about you? Do you only like lbt music? Wow, I didn't know you didn't like music. I'm not a big fan of the LBT songs (sequels that is), with the exception of maybe two songs. Why is music so annoying to you? I don't know about the rest of you but I HATE music. I don't see why you'd hate music. There are a ton of good songs out there. Constricting yourself to just one type of music (LBT music) is not good in my opinion. Do you only like lbt music? No way. Personally I can't stand LBT music, and will only tolerate it when I have to. I don't like songs that sound like they are being sung by little kids. It works on my nerve, to be honest. No offense to those who like this kind of music. Why is music so annoying to you? I have no idea. I just hate it so much. I have listened to literally thousands of pieces of music of all types and I found them all annoying. I would also find lbt music annoying but I guess it doesn't bother me so much cuz I'm so busy visualizing the movie. The only song in the sequals I have a problem with is "flip flap and fly". That one is worse than even "oops-eeps" from the tv series. Constricting yourself to just one type of music (LBT music) is not good in my opinion. I think DH means constricting yourself to only one genre means you miss out on all the rest and potentially losing the opportunity to listen to other things you might find you really do like. Music does have a way of growing on you. I was not much into trance or anything with a serious bass beat to it, probably no more than six months ago. I found a couple of remix things online, and they weren't bad and who knows if this will cause me to like others in the genre? While soundtrack instrumental scores may be my bread and butter when it comes to musical taste, its far from the only one. There's always a saying that goes something like this: how can you say you hate it, when you refuse to try it? Sometimes you just need to give some genres and songs a chance before writing them off. I like lbt music and other music like game themes I'm listen to one right now. I can even prove it to you there is music out there that I think you'll like. I've got some samples from some genres below (I'll keep them online on my site until 6/1/07). The album name is in the parenthesis in case you want to go find the album for yourself. I'm sure you'll like some of this stuff. do you enjoy the sound of wind through leaves? do you enjoy listening to the rain? As Petrie already pointed out, listening to only one type of music means you miss out on a lot of other music you could potentially like. Also to point out, music is an important element added in stories, both the TV shows and the movies, both the live action and the animated. A movie/TV produced without music will not do as well as a move/TV show produced with music. I would also find lbt music annoying but I guess it doesn't bother me so much cuz I'm so busy visualizing the movie. Land Before Time is not the only movie (or in this case movies) that has music playing. Movies like Brother Bear, Watership Down, and The Lion King all have music, and lyrical songs, playing during the movieplay. spoke of by the founder ! Personally I don't believe this statement. If you hate music, does this mean you hate most movies and TV shows as well? I just hate the music when it doesn't include a movie. Movie music is okay, but it is still undesired by me except in lbt. I really notice it when a movie has background music. It really ruins the movie for me cuz I can't concentrate on anything else. Apologies about my last post. I made the mistake of leaving the browser open with this site, and apparantly one of my sisters, don't know which one yet, decided to edit the post to mess with me, and I wasn't able to remove what they typed until now. So the post is fixed. I'm sorry if their post made anyone upset. It was that whole "I don't believe this statement" and "If you hate music, you must hate most shows and movies" comment that they added in. I thought it was disrespectful, and removed it. I must say that "hating all music in general" sounds a bit like "hating human language no matter which one and no matter what is being said" to me. Listening to your singing voice I don't quite believe that our singing project here is your first singing experience. If we assume hate to mean "violent dislike of or for" respectively "extreme or violent dislike or ill-will" (Oxford dictionary definitions) I think your statement that you hate music must be taken with a grain of salt if the statement is kept so generally. I thought it was a little unlike you to post something like that. I didn't think it was disrespectful at all, I just thought it was so unusual that you would be so forceful with your opinion. To tell you the truth, it's almost impossible to anger me unless someone disrespects lbt by making fanfics where everyone dies and it's all blood and gore or if someone makes fun of lbt in a disrespectful manner (inappropriate media content ie. pictures, vidoes, songs). Other than that, I have never been angered by anything else in real life or on the web beleive it or not. Listening to your singing voice I don't quite believe that our singing project here is your first singing experience. Actually, this is the first time I have ever recorded myself except in 1999 when I got my first palm pilot with voice record capablility. I recorded a personal message to get milk at the store on tuesday. I never sing to myself. I'm too embarrassed. I wouldn't even be doing this singing project but I really feel the need to contribute to lbt in every way possible. The day I started the singing project is the first time I ever recorded myself singing. I honestly don't know why you guys like my singing voice. 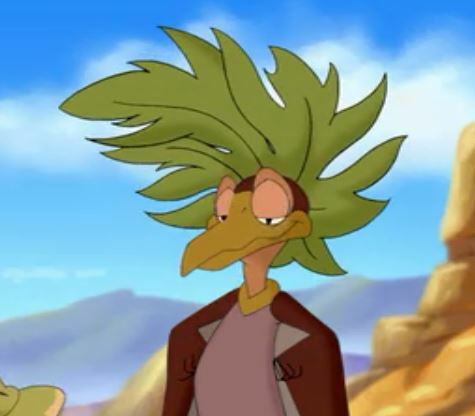 Sorry to Petrie. I haven't been able to download the songs you posted here cuz I'm on vacation right now and the stupid wifi keeps disconnecting. Not to mention that I only get like 113kps when the stupid thing can maintain a connection for more than 30 seconds. Doing this board on this wireless network on the boat has to be the worst experience I have ever had on the internet. This is no fun at all but it beats fishing with my cousins. Started by Lucario#1 on Sound Off!